Have you ever visited the iconic RHS Malvern Spring Festival? No? You must give it a go! Have a great day out and visit Brilliant Wall Art at the same time. Why not celebrate the beginning of the gardening season at this Malvern spring show? With top medal winning Show Gardens, spectacular floral displays, spa gardens, floral marquee, celebrity guests and more plus quality shopping – there is something for everyone. As well as plants and gardening ideas there will be great food available and cookery demonstrations with artisan crafts for you to browse and buy too. A special focus on families at the show sees a dedicated Exploration Zone and School Garden Challenge with opportunities to meet famous authors and stars of children’s TV too. It is a fabulous day out for all the family. Inspired by Malvern’s heyday as one of England’s finest spa resorts, come and enjoy RHS Malvern Spring Festival’s new look between 11th-14th May. Take a look at what’s on and don’t miss out on all our events. Buy your tickets now before they sell out. We are delighted to welcome a number of celebrity guests to the RHS Malvern Spring Festival. 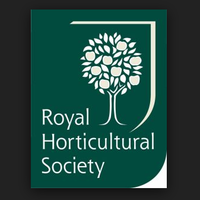 Listen to Expert Advice on all matters horticultural. Brilliant Wall Art are attending the RHS Spring Festival at the Malvern Three Counties Showground, with their extensive and continually expanding range of wall art and home accessories. Check out our stall (no. 2012) for extra special festival offers exclusively for you, at this Malvern Spring Show. Take a look at our brilliant gardening products here on our BWA website. We have everything from a vintage style garden bicycle flower planter to a garden cast iron hand water pump. Note: Please ring our friendly staff to check if your required item is in stock to view at our stall (no. 2012) at the Malvern Spring Festival 2017. Brilliant wall Art will have an extensive range of metal wall art at our stall for indoors or outdoors, our range is impressive. Visit our Brilliant Wall Art stall (no. 2012)…we have superb gifts for all the family. Why not take advantage of our online multi-buy promotion? You could save up to £30 on your wall art.